After collecting your luggage, please phone 0161 437 7718. 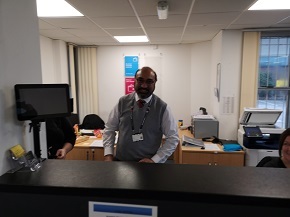 The agent at the car rental branch will ask for your name, confirm the terminal you have arrived at and give you instructions on where to meet the dedicated Arnold Clark Car Rental shuttle bus. 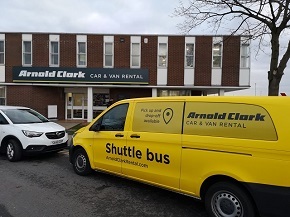 Please do not use the car rental village shuttle bus as Arnold Clark provide their own dedicated transport service and are not situated in the car rental village. Arnold Clark Car Rental are situated less than half a mile (800 meters) from the car rental village and the journey time from the terminal to the branch should take no longer than five minutes. All vehicles must be returned to the Arnold Clark Car Rental Manchester Airport branch within branch opening hours. 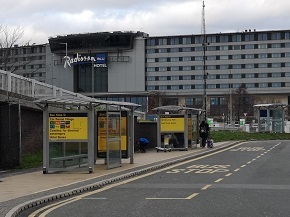 After your vehicle has been checked in you will be collected by the shuttle bus and dropped off outside the departure terminal of your choice. Under no circumstances should your vehicle be left in any of the car parks at Manchester Airport as this will incur a £100 fine.